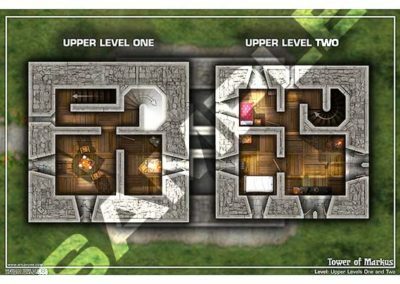 Explore this small two level stone tower, and the underground dungeon level. 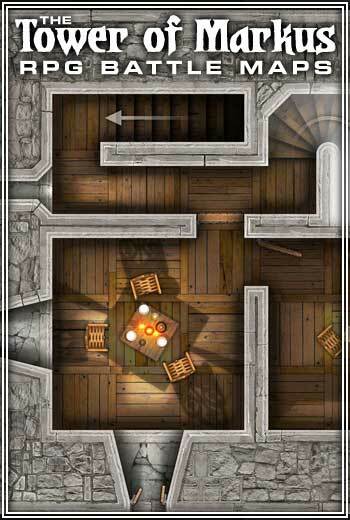 This small tower is the perfect setting for a small low level adventure. 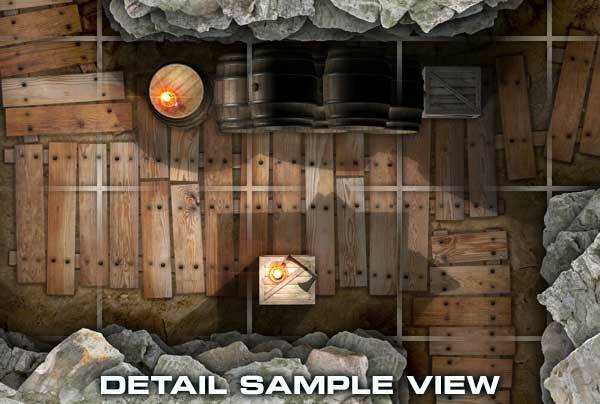 The maps have been designed for miniatures gaming, with a 1 inch grid applied to each map for tactical miniatures combat systems common to Dungeons and Dragons or other such table top miniatures games. The Tower of Markus consists of three small posters, each poster is 12″ x 18″ in size, printed in color on deluxe paper stock with square cut corners (no UV Coating). 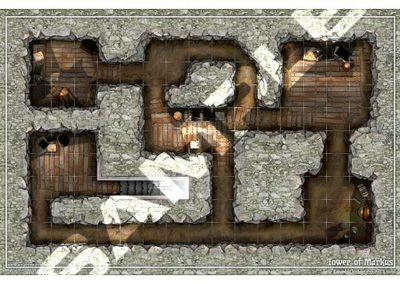 The print on demand maps can be found on sale via DriveThruCards.com. 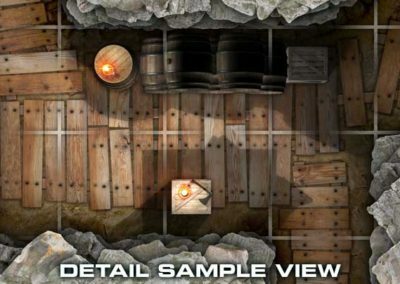 The package consists of three paper maps that are 12 inches wide, 18 inches in height. The posters are printed on deluxe paper in color with no UV Coating. 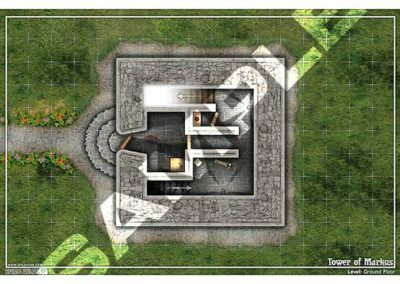 We have a special scaled down version of the maps for use in virtual tabletop Apps such as Fantasy Grounds, Battlegrounds, Roll20, d20Pro, etc. 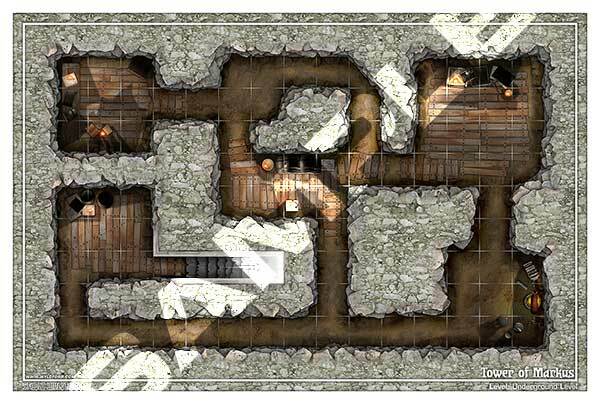 This version of the maps is available for download from the Studio WyldFurr online shop. 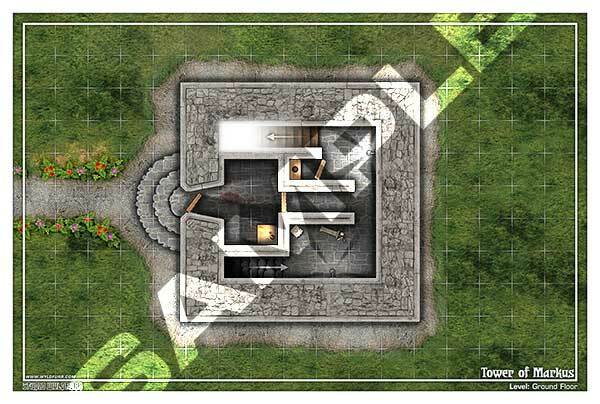 The VTT edition of the Battle Maps is a 72dpi and comes in the form of three JPG image files. These files are not suitable for printing (the printed version is 300dpi). 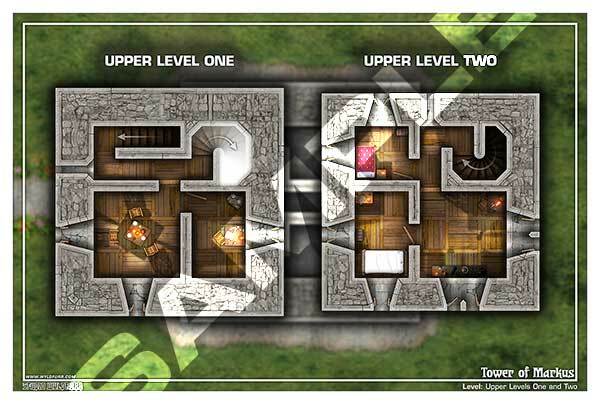 We have just received the hard-copy print proofs for the three maps in this product. The maps arrive in a padded parcel and are sandwiched between two cardboard cards to protect them. 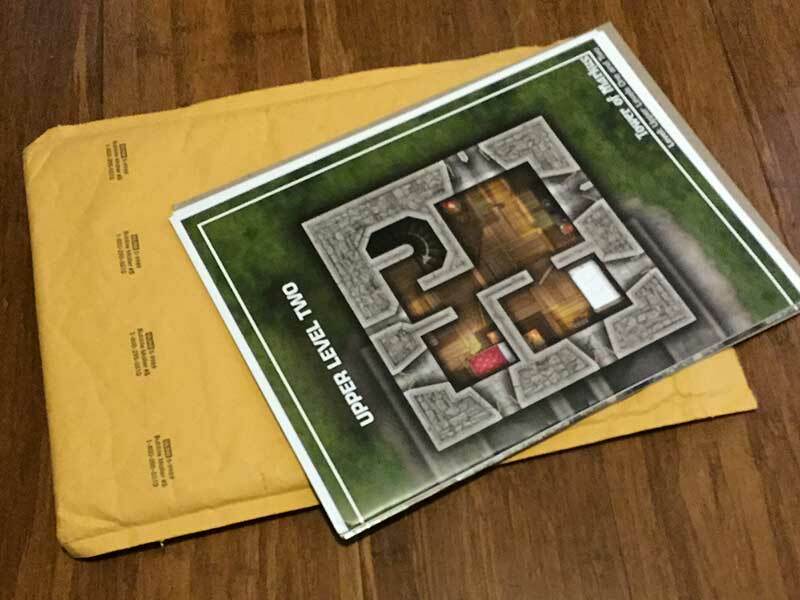 The maps are also folded for transport. 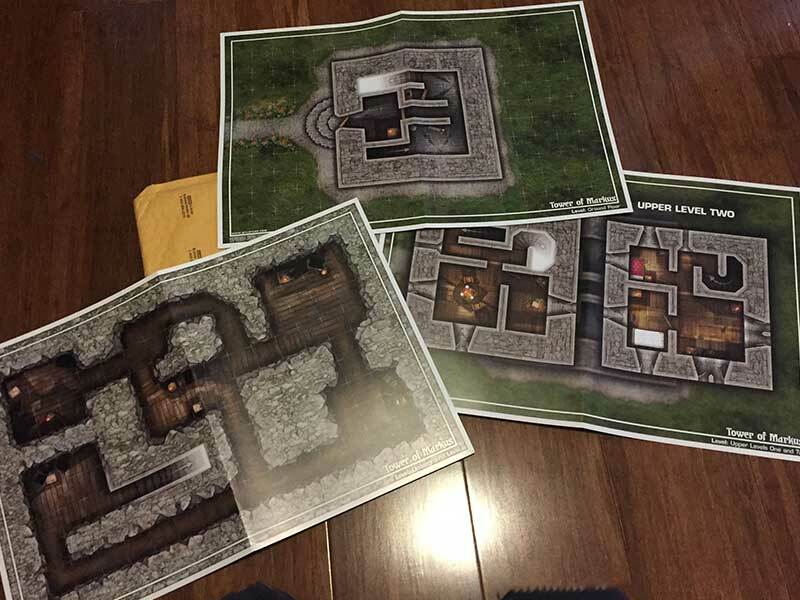 Once you get the package open you will find three lovely full color maps inside that can be used on the tabletop with miniatures.